Written by David Yager, one of Canada’s most experienced and respected writers about the oil and gas industry, energy policy, and the politics that affect Alberta and its number one industry. As Alberta’s provincial election approaches, every political party is campaigning on an economic future that includes more pipelines, more oil production, and more oil jobs. ​At the same time, Alberta has become ground zero for the future of the world’s oil and gas producing regions. Because of climate change, carbon’s future will be painful, expensive, and incredibly disruptive. If the future unfolds as we’re told it must, climate change will result in the greatest financial upheaval in world history. Except this massive adjustment to a low-carbon society is only happening in Alberta. As every other major oil producing jurisdiction in the world does whatever it can to keep up with rising demand, internal and external forces have stranded Alberta’s enormous oil and gas reserves with devastating economic consequences. If the objective is to tackle climate change, this is a colossal failure. Alberta and Canada’s financial sacrifices alone will not change the composition of the global atmosphere. Without cooperation from the rest of the world, Canadians are committing economic suicide with no tangible rewards. Alberta, its citizens and its politicians are not ready, preferring to dream of more of the same instead of confronting the current and looming economic challenges. Because of climate change, almost everyone has an opinion of what the future of Canada’s fossil fuel industries should be. From Miracle to Menace was written to ensure more people have the basic information that is essential to make an informed comment or decision. 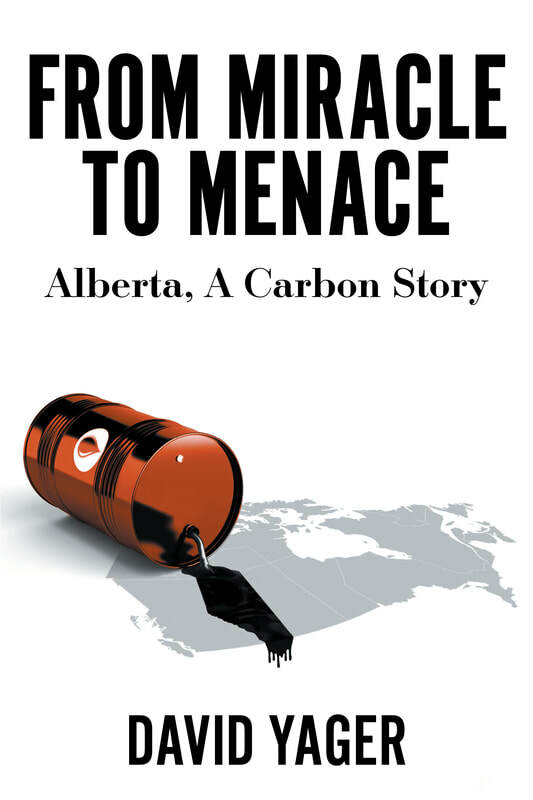 This is the book Canada needs right now, a comprehensive investigation and analysis that answers all the questions about climate change, Alberta, its oil and gas industry, and the future of the province and the country.